November, 2014- Maskapai penerbangan Malaysia Airlines kembali menggandeng The Media Hotel & Towers sebagai mitra berbisnis dalam dunia travel dan pariwisata. Hal itu ditandai dengan diperpanjangnya kontrak kerjasama antara kedua belah pihak. Untuk ketiga kalinya sejak tahun 2010, Malaysia Airlines mempercayakan kontrak kerjasamanya dengan pihak The Media Hotel & Towers sebagai hotel pilihan hingga 2016. “Karena competitive rate kita, pelayanan serta servis kerjasama yang baik selama kontrak-kontrak sebelumnya, tentu membuat Malaysia Airlines memilih untuk tetap bermitra bersama kita,” ujar Director of Revenue The Media Hotel & Towers, Nevi Puspandari. Nevi menambahkan, The Media Hotel & Towers juga pernah bekerjasama dengan maskapai Saudi Air dan Singapore Airlines. Pihaknya berharap, dengan semakin berkembangnya dunia pariwisata dan travel, The Media Hotel & Towers bisa terus mengembangkan bisnis kerjasama dengan maskapai penerbangan lainnya. Malaysia Airlines, sebelumnya bernama Malayan Airways merupakan maskapai penerbangan nasional Malaysia yang melayani rute penerbangan domestik dan internasional. Berdiri sejak 1 Mei 1947, Malaysia Airlines sendiri telah menjadi anggota penuh aliansi Oneworld mulai 1 Februari 2013. Dengan begitu, maskapai penerbangan negeri jiran ini dapat mengudara dari Kuala Lumpur ke 850 destinasi di 150 negara dalam jaringan Oneworld. Musim liburan telah berkahir, kini saatnya kembali menyambut datangnya rutinitas dengan pekerjaan dan agenda pertemuan-pertemuan sebagai upaya pengembangan bisnis usaha. The Media Hotel & Towers sebagai salah satu perusahaan jasa akomodasi yang selalu berusaha beradaptasi dengan keinginan konsumen, dengan mengacu kepada tema-tema sales blitz yang menjadi standard kami, yaitu; learn, adapt & conquer yang dijadikan sebagai landasan di dalam memenangkan lembaran pelayanan dengan memahami dan memenuhi kebutuhan konsumen. Pada rangkaian sales blitz kali ini Sales & Marketing Department berkolaborasi dengan Food & Beverages Department The Media Hotel & Towers menuju kepada pelanggan dan klien potensial dalam berbagai bisnis maupun daerah komersial di Jakarta Pusat dan Utara. Sales blitz kali ini terasa lebih hangat dengan sisa-sisa suasana Idul Fitri yang masih terasa, sehingga tim tidak hanya datang untuk memberikan informasi seputar akomodasi maupun promosi, namun juga berkesempatan untuk bersilaturahmi dan mempererat hubungan baik melalui momen ini. Sales Blitz: Learn, Adapt and Conquer! The Media Hotel & Towers today kick off a three-day sales blitz. 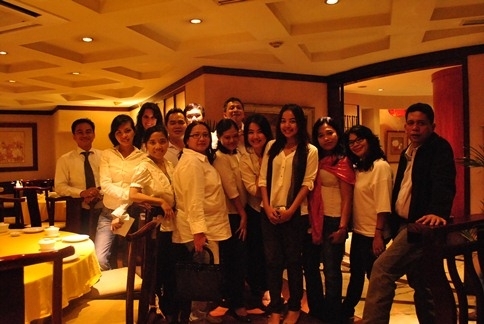 The sales and marketing team partnered with Food & beverage team and The Acropolis Spa & Fitness team to visit customers and potential clientele in various business and commercial areas in Jakarta. The theme of the first day is “Learn” where participants visit customers to learn and get to know on customer’s needs, wants, desire, expectation, and situation. “We would like to know and understand our customers so that we can offer the most suitable offer that match with their wish, “said Oxventus Kumala or familiarly called Afen, who was appointed to be the Champion of the Sales Blitz. The second day of the sales blitz is “Adapt” where sales team encourages other departments and all participants to adapt to market environment and the behavior of customer as well as to know the competition. “Competition is getting tougher nowadays and the market has been growing. To excel in this market place, there is only one way; ADAPT YOURSELF,” explain Amin Krisdiana who joins the Blitz as a group leader. 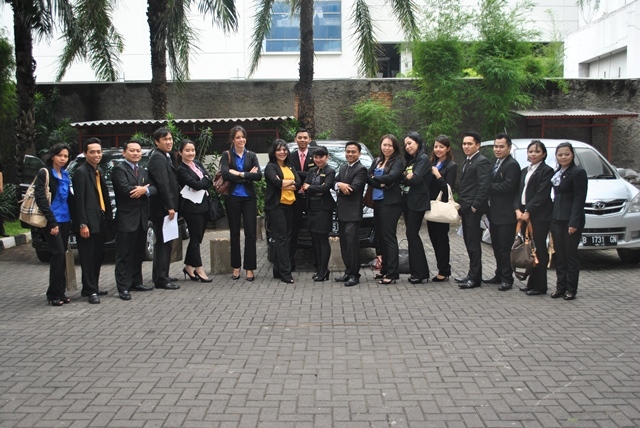 The third day of the Sales Blitz activity is about “Conquer”. After learning and adapting, a solid and powerful sales & marketing team must conquer any potential leas turn into pieces of business. “Everyone must have the spirit of Conquer in order to win the competition and come up us the winner,” said Husein Assegaf who also joins the program as a group leader. Seen in the pictures, activities during the Sales Blitz program. Beside turning off non-essential lights and or electronic devices as well as reading Green Daily Tips for all associates throughout the month of March 2013, The Media Hotel & Towers also hosted Earth Hour Cocktail to mark its constant participation in the global environmental campaign. 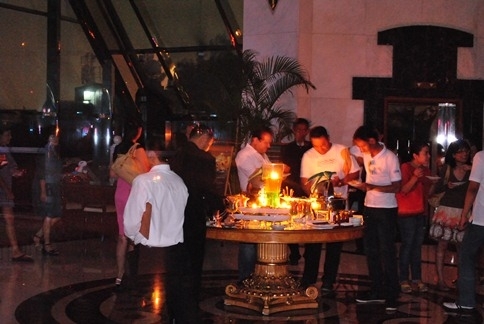 Hosted on the evening of Saturday March 2013rd 2013 at the hotel’s lobby, the Earth Hour Cocktail was for in-house guests and management to participate in the Earth Hour event. It was one of the hotel’s efforts to bring together guests, and partners from various backgrounds celebrating a commitment to the planet. The event received good response, particularly from hotel’s guests, media and invitee. “This is our commitment to make the world a better place for us and our future generations, raise awareness on environmental issues as well as involve our guests and associates in green initiatives,” explained General Manager The Media Hotel & Towers Algamar Idris. 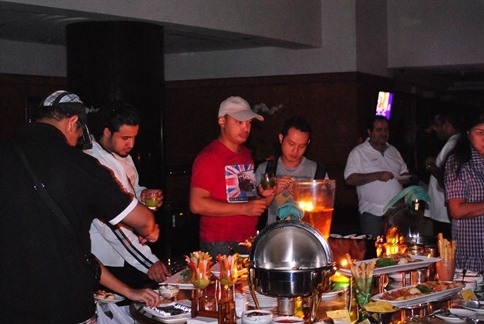 Food and Beverage team worked together with Banquet team in the preparation the menu with some healthy drinks. A compilation of official Earth Hour official videos was also screened in the lobby area to show Earth Hour activities from across the globe. A live piano performance gave additional mood of the spirit of saving energy. Meanwhile, around 50 associates from different departments worked together behind the deck to ensure the process of turning off lights run smooth and safe. Seen in the pictures, invitees enjoy the Earth Hour Cocktail menu in the dark. 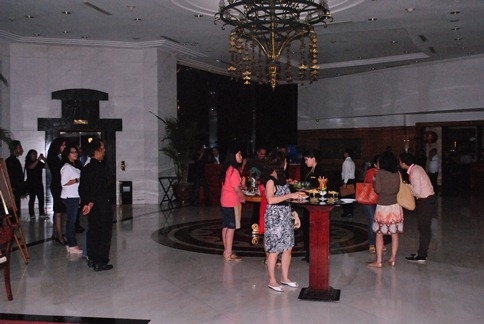 Jakarta, March 18th 2013 – The Media Hotel & Towers announced its participation in the celebration of Earth Hour 2013. A series of environmental activities have been scheduled during the month of March 2013 to commemorate the global campaign on saving energy, reducing emission and climate change. By spending an hour in the dark on the evening of March 23rd 2013, The Media Hotel & Towers will join millions around the world to send a powerful message about a brighter future for the planet. The hotel will turn off non-essential lights and unused electronic gadgets in observance of Earth Hour, the global environmental awareness event created by the World Wildlife Fund (WWF). For the last five years, the hotel participated in the cause together with people across the world to switch off lights and came together in celebration and contemplation of the one thing we all have in common; earth planet. Previous year’s campaign successfully reduced 84,203 kilowatt of electricity by switching lights only in one hour. This year, The Media Hotel & Towers will continue the International campaign by switching off lights, applying daily green tips and hosting Earth Hour Cocktail on the evening of March 23rd 2013. Throughout the month, the hotel also encourages its associates to practice what they call Daily Green Tips. The tips are being read on daily basis and each associate enlivens daily tips on how to create environmentally-friendly working atmosphere as well as applying at their homes. General Manager The Media Hotel & Towers Algamar Idris said his team continues to encourage guests and associates to participate in the campaign. “This will be our fifth annual participation and we are very excited to enrich our support by hosting various activities. We would like to show our commitment to make the world a better place for us and our future generations, raise awareness on environmental issues as well as involve our guests and associates in green initiatives,” explained Algamar. Earth Hour is a global grassroots movement encouraging individuals, business and governments around the world to take positive actions for the environment, and celebrating commitment to the planet by switching off their lights for one designated hour. It is the single, largest, symbolic mass participation event in the world. Born out of a hope to mobilize people to taking action on climate change, Earth Hour now inspires a global community of millions of people in 7,001 cities and towns across 152 countries and territories to switch lights off for an hour as a massive show of concern for the environment. Minister of Home Affairs Gamawan Fauzi has recently paid a courteous visit to The Media Hotel & Towers in regards to attending a nation-wide workshop titled “National Coordinating Meeting on Public Policies for General Government” organized by Ministry of Home Affairs Republic of Indonesia at hotel’s Grand Ballroom. General Manager The Media Hotel Algamar Idris had the opportunity to welcome Mr. Fauzi warmly. “It is our honor to welcome the Minister of Home Affair Bapak Gamawan Fauzi and key members of General Directorate of General Government at The Media Hotel & Tower. We would definitely like to extend our best service and we wish the event a great success,” said Algamar. 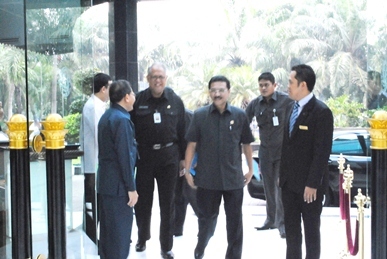 Seen in the pictures, Minister Gamawan Fauzi was welcomed by associates and management team members of The Media Hotel & Towers and courteously gestured for photograph with General Manager Algamar Idris at the hotel’s lobby. Jakarta, February 6th 2013 – The Media Hotel & Towers Jakarta has recently conducted The Media Privilege Gathering, a fun day gathering hosted solely for loyal members of The Media Privilege. The gathering was aimed at strengthening relationship among the members as well as building customer engagement towards values and services of The Media Hotel & Towers. The two-day event began with a dinner gathering at Sukhothai Authentic Thai Restaurant located at 6th floor of The Media Hotel & Towers and continued with a wonderful night stay at the hotel’s luxury accommodation. The following day, the participants were pampered with a sumptuous International breakfast buffet at The Breeze Café, located on the 6th floor of the hotel’s building. The gathering continued with a one-day trip to Bandung, West Java, to enjoy various fun activities such a casual lunch gathering and shopping at a Factory Outlet (FO) as well as visiting one of the predominant bakery, cake and pastry outlets in the city that is well-known as “City of Flowers”. Executive Assistant Manager (EAM) Vincentia Maria said that The Media Hotel & Towers truly appreciates continuous support for the last recent years, demonstrated by loyal members of The Media Privilege and hence is keen to extend rewards with an annual fun and familiarization gathering. “We would like to extend our gratitude for those who supported us achieved our goals in 2012 and we would like to extend even greater partnership with our loyal customers in the future,” added Vincentia. The Media Privilege is a loyalty and reward program designed for non-professional travel arrangers whose part of their jobs is to arrange hotel reservations at The Media Hotel & Towers. 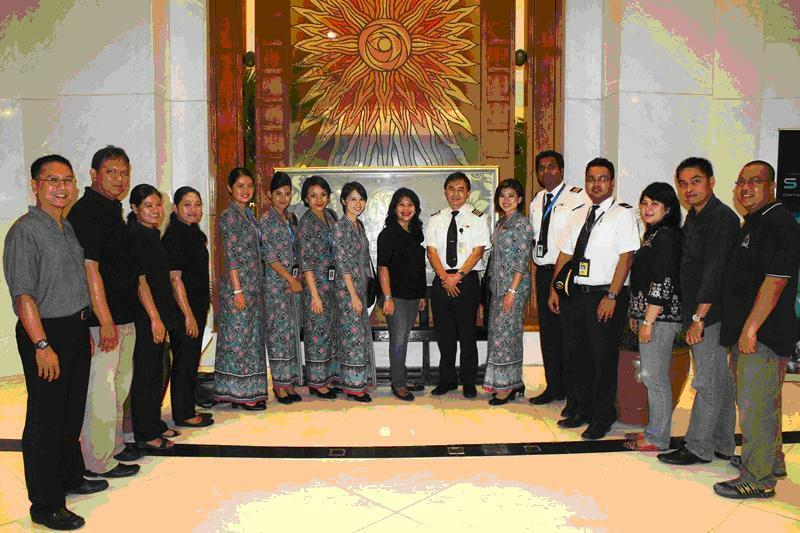 Members of this program are mostly corporate secretaries, HR administrators, corporate trainers, public relations, marketing communications, general affairs, travel-desk administrators, or individuals who take care of booking hotel’s room and/or securing reservations of function events in a hotel. About The Media Hotel & Towers, Jakarta.